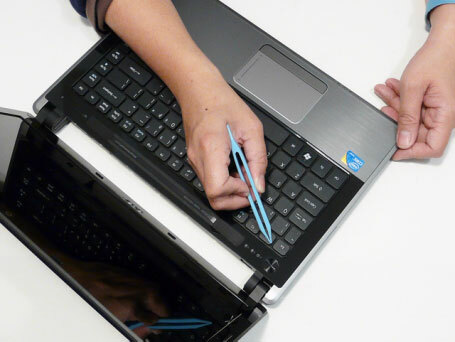 In this guide, the actual laptop is Acer Aspire 3810T. It should work on these laptops. 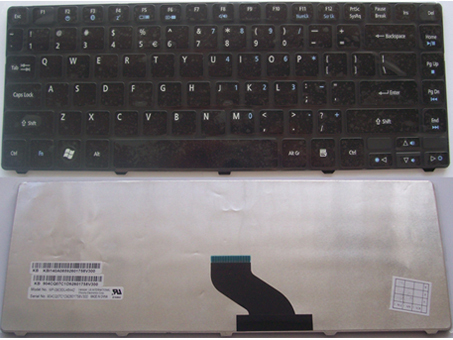 Acer Aspire 3810, Aspire 4410, Aspire 4736, Aspire 4810 seires and so on. 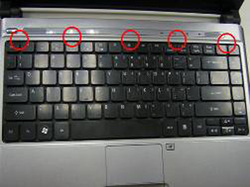 Please notice Acer Aspire 4736 series have two different keyboard. If your keyboard likes the one in the Pic1, this guide is invalid. First of all, please turn off your Acer Aspire 3810T / 4736ZG / 4810T, disconnect the power adapter and remove the battery. 1. Open your laptop. The 3810T / 4736ZG / 4810T keyboard was secured by five latches. 2. Disconnect five latches on the 3810T / 4736ZG / 4810T keyboard. 3. 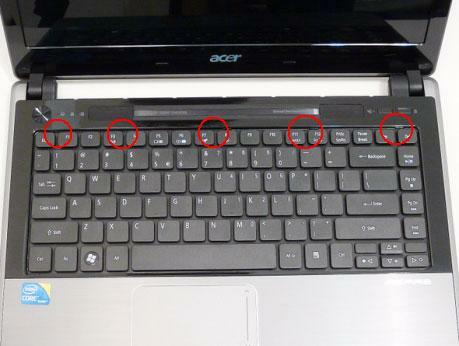 Carefully pry loose the Acer Aspire 3810T / 4736ZG / 4810T keyboard and turn it over on the touchpad area. 4. 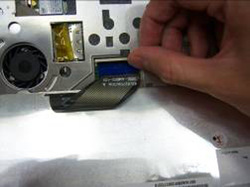 Disconnect the keyboard cable from the main board to remove the Acer Aspire 3810T / 4736ZG / 4810T keyboard. 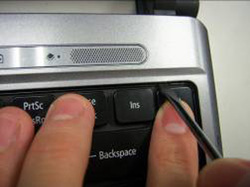 Reverse the procedure to install your new Acer Aspire 3810 4736 4810 keyboard.